Liverpool shot stopper Alisson Becker has earned the praise of one of the best goalkeepers of the last two decades following his start to life on Merseyside. Former AC Milan goalkeeper Dida had an illustrious career capped by him winning the 2002 FIFA World Cup tournament in South Korea and Japan with the Brazilian national team. Dida praised his compatriot in a recent interview with the Liverpool Echo as he said that Alisson is one of the best goalkeepers on the world football stage. He went on to say that Alisson Becker has helped the Reds’ defence with his big personality. According to him, the result of the impact made by Brazilian international goalkeeper Alisson is very obvious for everyone to see. 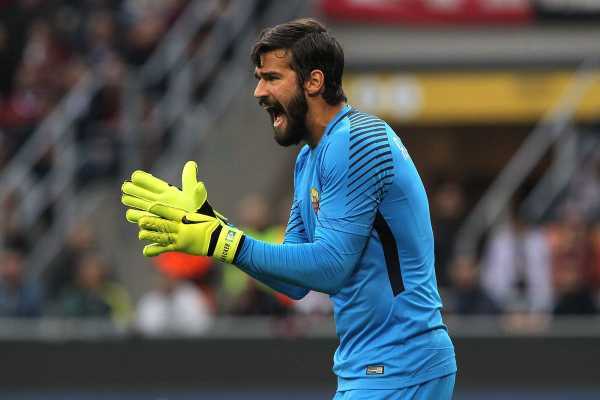 Alisson and AS Roma have conceded just 15 goals in 26 league games. The Brazilian shot stopper signed for Liverpool last summer for a then-world record fee of £65m. It was the highest transfer fee for a goalkeeper in world football but it didn’t last long with Chelsea goalkeeper Kepa Arribazalaga days later. With his help, Alisson Becker has been able to propel Liverpool to be a Premier League title contender.